Published by its morning parent newspaper, The Argus, and featured a distinctive green-tinged newsprint and an art-deco format indicative of the fashions and styles of the period. 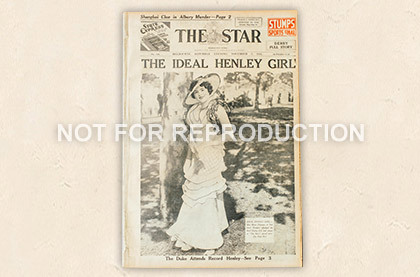 Although published in the afternoons, The Star emulated the popular morning tabloid, The Sun, by using large striking photographs and bold headlines on its front page. Although a very progressive newspaper, with excellent news, sport and society coverage and the inclusion of special features, it was not able to compete with the massive popularity of Melbourne's afternoon Herald, and was withdrawn from a fragile newspaper market at the height of the Great Depression.